For many couples, Valentine’s Day is a high-pressure holiday that looms on the horizon as February approaches. 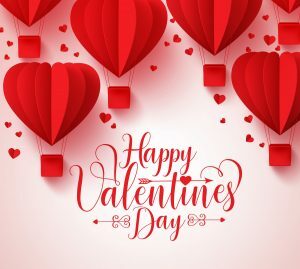 While the focus is supposed to be on showing love for the people you care about most, Valentine’s Day often becomes a competition of dreaming up a creative – and expensive – way to impress your date. Here at BlackJack Pizza in Loveland, we think it’s time to take the holiday back to its roots with something everyone loves. You guessed it — pizza! Read on for three reasons why you should treat your favorite person with pizza this February, and explore our site for the BlackJack menu, coupons, and more! Whether you and your sweetheart are college students looking to save change, or you simply prefer to spend your money on romantic vacations or everyday expenses, Valentine’s Day can be hard to handle on a budget. Instead of splurging on a fancy, uptight restaurant, why not invest in Loveland pizza delivery instead? You can order BlackJack Pizza online for free, and enjoy fast and easy delivery or pick-up. Then, you can spend all that cash you saved on a gorgeous gift or put it toward your dream honeymoon! You likely show appreciation for your loved ones throughout the year, but something about Valentine’s Day tends to translate into especially high standards and expectations. If you’d rather not spend the holiday sweating over elaborate plans, talk to your partner and decide on pizza instead. You can avoid the crowds at your favorite restaurant and save yourself the stress of trying to put together a three-course meal at home. Whether you want to order ahead and save yourself from V-Day panic, or you need a backup option in case your souffle collapses (like it did last year), BlackJack Pizza in Loveland is here for you! It may not be a surf and turf dinner, but it’s hard to beat the broad appeal of pizza. Your valentine is sure to love something off of our menu, whether you choose one of our house specialty pies or create your own! You can customize your pizza order from crust to toppings, and you can add plenty of sides to make the Valentine’s Day feast of your dreams. Explore our menu here on our site, and start your online order today! Whatever you decide on, you and your sweetheart will have something yummy to look forward to on February 14. Enjoy Valentine’s Day this year the way it meant to be celebrated: with all your loved ones. Whether you choose to spend time with your family and friends or with your partner and a hot pizza, BlackJack’s Loveland pizza delivery services can take the pressure off. Sit back, destress, and schedule your next fancy date night for another time. If your valentine prefers flowers and diamonds to one of America’s favorite foods, then perhaps this year is a good time to rethink your relationship status. 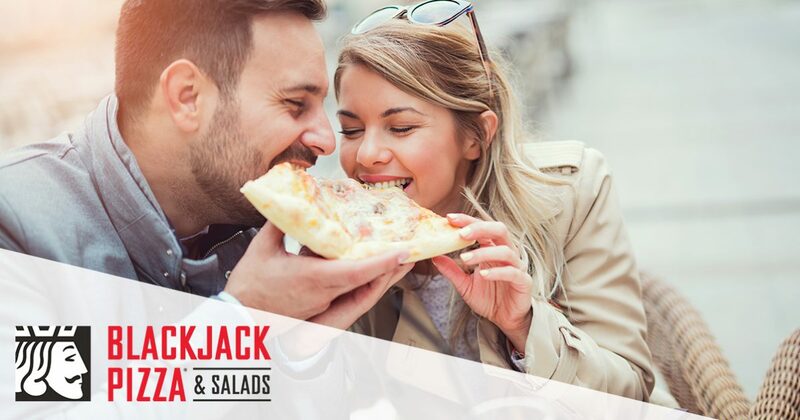 No matter how you spend Valentine’s Day, or with whom, BlackJack Pizza is here for you! If you just can’t wait for February, start your order today, and enjoy fresh pizza, salads, and more, fast.